WhoWhatWhy was recently hit by a major spambot attack that we have traced back to a network operating from Russia. The fact that they went after us is not particularly surprising — that comes with the territory of covering politics in the US these days. What was very interesting, however, was the specific story targeted. The Russians did not go after anything we published recently but rather a documentary on Donald Trump that was suppressed in the 1990s and that we published in its entirety in 2016. We don’t know why, but if this is something the Russians want to interfere with, then there is obviously only one thing we can do: Run the entire thing again. So below you will find brief summaries of the different parts (we had to split the documentary into 12 segments). We urge you to watch them all and come away with a better understanding of the US president. And if you think that you’ve stumbled upon something that attracted the interest of the Russians and that we might have missed, please get in touch with us. Even if you watched this documentary when we first made it public, we guarantee that it is worth your doing so again now. The way it ends, in light of what Trump has been doing, is even more ominous than it was when the documentary was made or when we first ran it. “The only end to this road is the ultimate madness,” Graydon Carter, the editor of SPY Magazine, said a quarter century ago. Trump has been in office for a year and a half now and we still don’t know. Donald Trump likes to portray himself as a winner. But in this never-before-aired documentary, we see a much more flawed and even tragic figure, whose failures and operating practices warrant close scrutiny (note: there’s a slight technical glitch in this particular segment where the video cuts off abruptly at the very end). Donald Trump not only inherited millions from his father — he learned that getting sued was just part of doing business. In New York, political connections are key. Thanks to his father, Donald Trump knew the right people — and he rode those connections all the way to the top. Along with his shrewd business sense, they helped him soar. 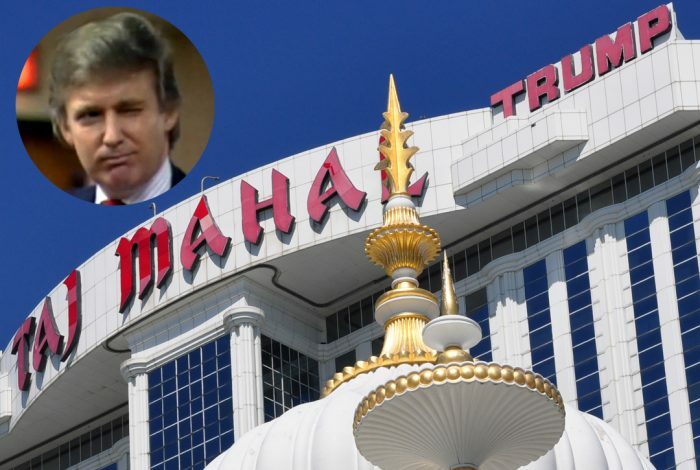 The Donald built Trump Tower with a winning strategy: Get somebody else to finance it, work your connections, and get help from taxpayers. After Trump buys an occupied apartment building in the early 1980s, he has only one problem: the tenants. They stand up to his attempt to bully them — and hand The Donald his first big loss. Having amassed a fortune and established himself in Manhattan, Trump wanted to conquer the world of sports in the mid-80s. But his attempt to get an NFL franchise failed. As with everything else in Trump’s life, only the best would do — and that’s why the young couple enhanced the resume of Trump’s first wife, Ivana. Donald Trump’s huge error in a Florida business deal raises the question: Beyond his skill at getting attention, how good is he with the actual art of checking out deals — or policies — before going ahead with them? Suppressed Documentary Part 9: What Kind of Man Is Donald Trump Off Camera? A man who worked closely with Trump said he saw him treat people horribly, and that Trump subjected his own family to “extraordinary verbal assaults.” How he treated three loyal employees after their death may be even more telling. Donald Trump likes to play by his own rules, even if that means bending those of society. And for those who dare defy him, he’s got a lawsuit waiting. When Donald Trump bought a plot of land on Manhattan’s West Side, he had a grandiose vision of constructing the world’s tallest building. But a celebrity-led coalition of New Yorkers stood up to him. Trump exists in a world of extremes — there is winning and then there is everything else. And 25 years ago a prescient journalist offered a chilling vision of how it all might end. Related front page panorama photo credit: Adapted by WhoWhatWhy from movie marquee (Anthony Quintano / Flickr – CC BY 2.0).